Society’s systems of socialization, including primarily the educational system, constitute a linking factor between knowledge and ideology. According to Foucault (1980), ideology makes use of education for the purpose of survival, continuity and perpetuation of values. From the behavioral point of view, there is an assumption that the creation of a feeling of territorial belonging, which helps the individual locate himself in the world, is very important for the shaping of an individual’s personality and worldview (Muir and Paddison 1981). From society’s perspective, states saw a need to include geography as a subject in the schools when nationalism flourished in Europe in the 19th century; this aided the achievement of nationalism’s political goals (Capel 1981). It seems, therefore, that geography as taught in schools plays an important role in shaping the attitude towards territory and nationalism, because geography links the ideas which Taylor calls “the basic trilogy: territory-state-nation,” (,1985 p. 195). The devices and subjects for increasing man’s identification with territory are to be found in the area of “territorial socialization” (as defined by Duchacek, 1970), and these are expressed in the products which society produces and markets in the educational system and in the media. In the current article we will begin with the above-described general concept, in an attempt to analyze the way in which cartographic devices are created and used for the purposes of territorial socialization. After a general discussion on the subject of cartography, propaganda and ideology, we will take several examples from the Israeli case to illustrate the conclusions of the said discussion. The choice of these examples is not coincidental; rather, the cases were chosen for their ability to boldly demonstrate the conclusions; moreover, we can learn from them about the possible relationships which could exist between cartography and geographical education. This matter seems increasingly important in modern times, when the educational system uses more and more visual representations: pictures, video, films, and various diagrams. These representations, with their sophisticated editing, allow for the relaying of meanings which serve the purposes of the representations’ creators. It seems that in the literature which deals with education and geography, not enough emphasis has been placed on this issue (see for example, Pepper 1987; Fien and Gerber 1986). It is possible that one of the reasons for this is that geographical education has not adopted the critical lines of thinking from radical geography which developed in the 1970s and 1980s (Lambert 1992). Some perceive schools as a tool for political socialization, which is carried out in the curricula and in the language used in them (Edwards 1990). Primary schools teach what Bernstein (1975) called the “formal language” that reflects the ruling power. Cartographic representations must be treated as language, to which both youth and adults are exposed. The way in which these representations are presented demonstrates Thompson’s ideas (1987) about the relationship between language and ideology. He claims that these relationships contain clear-cut subjective and ideological distortions; in other words, they contain hidden propaganda. The educational system continues, therefore, to present maps as a miniature model of reality, and less often emphasizes that this map is a distorted model, which sometimes can “lie,” and contain items that are completely different from reality. Gerber (1992) also comments on the gap which exists between the progress of cartography and geography on the one hand, and the teaching of maps in schools on the other hand; he claims that schools do not place enough emphasis in teaching critical thinking concerning maps and their subjectiveness. It seems that schools’ geographic education does not emphasize that the maps presented in the textbooks, atlases, or media are shaped by ideology — in other words, they are subject to the influence of economic and political power. Ideological power like this leads to the creation of hidden propaganda in the teaching materials, because propaganda is one of the means of socialization. With the help of propaganda, the reigning political power attempts to put forward its own opinions, to justify its ways and to document its activities. Political propaganda may deal with various subjects, including the subject of territory, and thus contributes to the needs of political socialization. There is a claim that modern society and its political and economic institutions cannot exist without propaganda and advertising, which fill an important function not just for the producer but also for the consumer, in other words, for everyone. Institutions and organizations will not be able to function without using advertising and propaganda (Ellul 1965). Between the accepted means of propaganda one can find also those which use geographical expressions (Burnett ,1985 Hall 1981). The political ruling power is not the only body which uses propaganda and advertising of a geographical nature, replete with statistical presentations; other bodies, including commercial companies, make use of maps to create their own “truth,” as Monmonier (1991) and Wood (1993) have shown. reality: for them, the most important goal in producing maps was their efficiency in providing communication between the ruler and the masses. This author discusses the various graphic and technical means used in the maps which were created for the sake of propaganda: color, dimension, page or text design. He also cites the incredible importance which the cartographers who worked for German propaganda associated with the design of agreed-upon signs to mark borders on maps. One year later, an article by Wright (1942) is published, which states specifically that there is no such thing as an objective map — a map is not “divine truth,” it is not realistic. He emphasizes that “If mapmakers are human, so too are map users” (p. 135). Wright calls upon us to understand that in the process of creating and deciphering maps, many considerations are involved, including considerations of political propaganda. We must not see maps as reality, but rather, as the reflection of reality in the eyes of the cartographer. After the world war Boggs (1947) summarized these issues, by inventing the expression “cartohyponosis”: he claims that during wars, people are hypnotized by maps, they accept them and unjudgementally accept the facts which the maps present. About thirty years after the above-listed articles were published, Ager (1977) wrote an article on the subject of propaganda and graphic distortions in maps, in which he attacks the various ways in which maps are used by propagandists and cartographers. He insists that the following items serve to manipulate in maps: selection, symbolization, provocation, color and shading, typography, statistical data, and configuration of maps. Each of these items is exposed to the manipulative ability of the mapmaker, without the map reader knowing that deliberately deceptive use has been made of the items. The maps are likely to lead to distorted interpretation of reality, even by individuals who are trained in map reading. This is particularly noticeable in maps which are created for political propaganda purposes or commercial advertising, in which the distortions are deliberate, and tend to exaggerate. Therefore, the situation may arise in which most individuals, who are not aware of the problems associated with the presentation of reality in map format, will view reality as it “appears” on the map. In the second half of this article, we will try to illustrate the ideas discussed above, in an analysis of the Israeli case, in which students are exposed, as in any other state, to cartographic representations which contain ideological messages, in other words, revealed or hidden propaganda. One must remember that territorial socialization in the Israeli context, was continual for thousands of years, ever since the people of Israel went into exile. The longings for Zion — for Eretz Yisrael — were the prayers of the people, and as such, were expressed in religious ritual and in the holidays which the Jewish people celebrated in exile. Until the formation of the modern Zionist movement, at the end of the 19th century, the longings were for the idea of a heavenly territory, and not for a real entity. Nonetheless, even by the Renaissance period, maps of the Land of Israel appeared in Europe in religious ritual Jewish texts. Their appearance represents an attempt to give people and children geographical pictures of the theological, territorial concept of “Eretz Yisrael,” or the Land of Israel (see, for example, Brodsky ,1992 1993). ideological perceptions. The writers assume that the students, or “readers,” will develop a recognition of the territory represented in the map, and will see it as a representation of reality. In this way, the map “writers” transmit Zionist ideology to the next generations. In order to trace the ideological influence of the maps to which the students were exposed, we have chosen several examples from two different fields: 1) textbooks and atlases; 2) daily newspapers. First, we will present each example separately, and at the end, an extensive discussion on the connection between maps, propaganda, and the educational system will be presented. Zionism, as a modern nationalist movement, set as its goal to agitate for the return of the people of Israel to their land, founded educational institutions, and created propaganda to convince the Jews to immigrate to Israel and settle there. These institutions created and circulated the map of the land of Israel in various publications, including the geography textbooks which were studied throughout the Jewish Diaspora (Bar-Gal, 1993a). Many textbooks were published concerning the geography of the Land of Israel, in which various maps appeared alongside the textual description of the land, and its physical and human characteristics. A survey of textbooks which were written in the above-mentioned period concerning the Land of Israel shows the relationship between Zionist ideology and its expression in the representations that appear in these books, mainly on the subject of the borders of the Land of Israel (see Bar-Gal, 1993b). Even after the state was established, the geographical profession continued to be an important tool for territorial education within the Israeli society. In the centralized educational system of Israel, textbooks go through a process of formal authorization, and the degree of their appropriateness for use in schools is checked. The relationship between ideology and the graphic representations of territory that appear in some of these texts may be illustrated in the textbooks which have been widely distributed for many years within the educational system. It is important to note that considerable cartographic and scientific effort was invested in these books, as well as painstaking editing. However, one can see that there are cases in which ideology is unconsciously inserted into the maps. In most of the textbooks concerning the geography of the Land of Israel, confusion and inconsistency concerning the borders of the state abound. As a result, it is possible to see the strange phenomena in the mapping of geographic issues in the Land of Israel. For example, if we take the simple geographic element of the area of vineyards in the Land of Israel, in various books we will see different treatments of this matter, both in terms of their prevalence and in terms of the borders of the state. In Hevron’s book (1990), the borders of the state do not appear at all (See Figure 1a). On the other hand, in Harel & Nir’s book (1991), strange borders are drawn: the “Green Line” (1949 border) and the Golan Heights border (1974) (see Figure 1b). Their book deals with the entire area of the Land of Israel, and it is strange that the largest area of vineyards, which is in the Hebron area (on the West Bank), does not appear at all on the map. This dichotomy, between two territorial concepts (the “Land of Israel” and the “State of Israel”) stands out sharply in the maps which accompany the textbooks: in the physical chapters, the maps present information about the entire area west of the Jordan River, including the “West Bank,” while on the human issues, the information presented relates to the area of the State of Israel only (Bar-Gal 1993b). The centralist attitude in the national educational system influenced not only the textbooks, but also the geographical teaching aids, which private publishers produce. An example fo this is the atlas which is used in the education system. In order to be included in the list of books allowed for use in the schools, it was necessary to change the presentation of the borders in these atlases. From the beginning of the 1970s, the “Green Line,” which is the cease-fire border of ,1949 was erased from the maps in these atlases, and instead the “cease fire” border of 1967 was marked in (Schachar, 1988; Brawer, 1975). Students and their teachers are exposed to various sources of mass information, in both the written and electronic press. The prevalence of newspaper literacy in Israel is among the highest in the world, since the Israeli public is very sensitive to political and security-related issues, and follows them closely in the media. Newspapers and television often present various maps to describe events and explain their background. Developments in the field of computer graphics, as well as an improved quality of newspaper printing, help to create excellent cartographic representation in the newspapers, which, in turn, increases the significance of geographic education for the comprehension of cartographic information. The press in Israel has a particularly strong influence, and many times articles appear concerning the subject of maps. 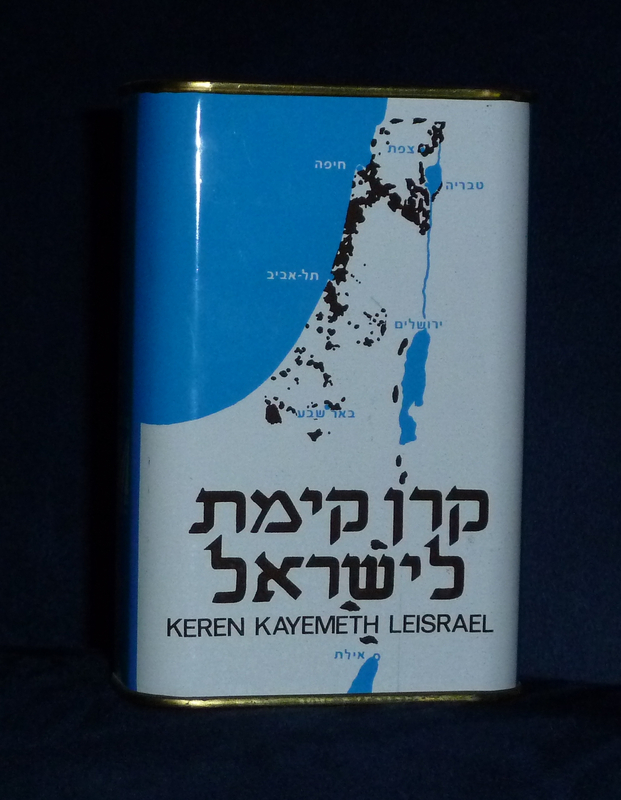 One famous example of this is the third edition of the National Atlas of Israel, which was produced by the government survey department, in a bilingual edition (1986). 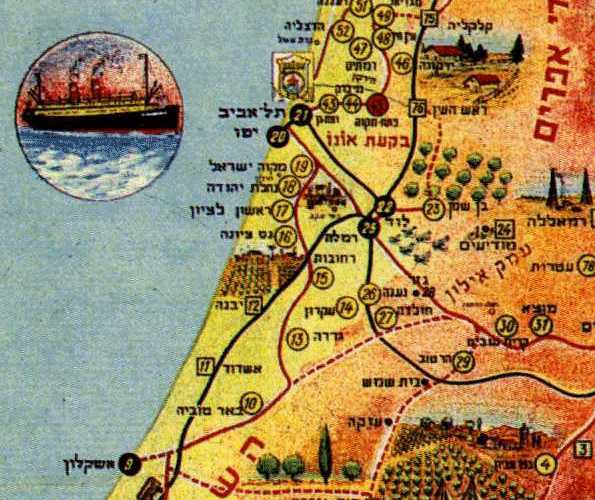 A journalist who examined the atlas stirred up a public and political debate about the maps which appeared in it, which even led to discussions in the Israeli parliament about the atlas’ maps. The journalist, who is identified with a right-wing party, published an article with the headline, “Trash the Israeli Atlas” (Uziel, 6.6.86), in which he criticized the text which accompanied the map describing the Jewish settlement in the West Bank, a text which was written by a leading Israeli geographer, Professor David Amiran. The minister responsible for the survey department was distraught by the criticism, and ordered the circulation of the atlas to be suspended, claiming that it was an official document of the State of Israel. After months of searching for another geographer to rewrite the controversial text in question, circulation of the rewritten atlas was resumed. This unusual example teaches of the importance of the press in Israel and the sensitivity of the political system to the subjecty of mapping. The rare example of the Israeli Atlas is not the case we would like to emphasize, but rather, the maps which appear daily in the newspaper and television, such as weather maps, through which we can also trace the various political influences. Weather maps in the media are naturally standardized, and appear daily. Information about the weather is essential for daily functioning, and therefore, children as well as adults glance at them, and thereby receive, in a hidden manner, the ideology which lies behind the preparation of the map. Every newspaper and TV station prepares various base maps to describe weather, and attempts to produce them with a high quality of graphics, so that they will be pleasing to the eye. Let us examine two of these maps closely. In Figure ,2 the weather map appears that was taken from the Maariv newspaper (the newspaper which came out against the third edition of the Israeli atlas). The map describes the area of the Land of Israel, which is colored in green, on an orange background — which describes the neighboring countries. The use on the map of a unified color for the area surrounding Israel, the lack of distinction among the countries which adjoin it, is a cartographic phenomenon which is likely to have political significance. In other words, the graphic symbolization aids the image of “us” versus “the enemies surrounding us.” This is an accepted political message in Israel, which strengthens the image of “an embattled people.” On the map are listed the daily temperatures next to the names of the large cities or geographical regions in Israel. If we look closely, the borders of Israel as presented on the map represent the right-wing ideological perception which refuses to see the area of the West Bank and Gaza as territory under a different sovereignty. According to the map that appears in this newspaper, all the territories located within the climatic map that are defined as “Israel” possess identical legal status. On the other hand, the second map (Figure 3) is taken from the HaAretz newspaper, which is identified with the left and moderate center in Israel. The political left in Israel is pushing for the political recognition of the Palestinians, and encourages the government in its steps to create a different territorial identity for the territory of the West Bank and Gaza Strip. In the weather map of this newspaper, this ideology is expressed cartographically: the Gaza Strip region is separate from the area which refers to the borders of the State of Israel. It reflects the political distinction which exists between the area of the State of Israel and the area of the “Palestinian entity,” as determined by the Oslo accords. The sensitivity of the HaAretz newspaper’s editor to maps and their political meaning can be seen elsewhere, as well. Since the peace accord between Israel and the Kingdom of Jordan was signed in Fall ,1994 the climate map also includes the temperatures of Amman, the capital of Jordan, as well as an icon of the temperature in Cairo. This provides not only informative service to tourists and travelers between the countries, but also a clear political statement. This statement includes Egypt and the Kingdom of Jordan within the field of the positive Zionist consensus, in contrast to other Arab countries, such as Syria or Lebanon, Israel’s northern neighbors and enemies. Foucault raised the assumption that power and knowledge are elements that are linked to one another. Knowledge, he claims, is part of power: its role is to strengthen, perpetuate, and legitimize ideology. Moreover, he claims that the knowledge which geography has gathered has served the colonial and financial powers. In fact, one can extend his argument and claim that one of the roles of knowledge is to act for the socialization of young people and adults so that they will receive the social and political values which the ideology is interested in. Ideology’s messages are hidden through various tactics. The methods used to hide these messages are sometimes employed consciously, and sometimes unconsciously (Urry 1981). The tactics of hiding suit Habermas’ (1971) perception concerning distortion in the media, which is that communicative events are not free of ideological presence and this presence is expressed through language. Bernstein calls the language which is thus created “formal language,” in other words, the language of scientific and government reports, the language of various documents, which serves the reigning ideology, in which reality is conveyed as the reigning power wishes. Various studies have indicated that geographical curriculum are usually ethnocentric, and therefore, the textbooks which are used in schools also contain stereotypes and various distortions (Hicks, 1980). Geographic education, language and knowledge used in the schools can be understood as part of the hegemony of the ruling power (Henley 1989). Textbooks and atlases, and the language which teachers use in their classrooms, are means of social communication that are exposed to the distortions of ideology. Despite the fact that according to cognitive psychology, as represented by Pavio (1971), maps and language are not similar representations, they have a common denominator. It seems that in the field of studying and comprehending space, maps are likely to have an advantage in encoding information so that it can be pulled from the memory, in comparison to verbal representations. Cognitive studies of the memory mechanisms and perception of words, sentences and texts provide us with a basic assumption concerning the student who is studying and looking at maps. The map, as a graphic representation, receives a meaning compartmentalized according to the student’s personality, which is important for the understanding and memory of the representation (see for example, Pavio and Begg, 1981; Brown and Yule, 1983). The map reader must assume that the information appearing in the representation is not a random collection of color, lines and shapes that are organized on the paper. His experience and his cultural background will influence the way he remembers the information and the meaning they give the map. One must assume that the educational system, in teaching map-reading skills, creates the feeling in the student that he or she is seeing reliable representations; or, in other words, maps transmit reliability. Some individuals will wish to perceive the presentation of maps in textbooks, atlases, and the media as “cartographic propaganda,” created by the state through the educational system, and the media, as part of a process of territorial socialization. These maps are another example of the creation of an “official language,” which serves the political power for the sake of the survival of its ideas. The reputation of the media, textbooks and various atlases gives the maps presented in these forums a high level of reliability in the eyes of the “readers,” who may not have the tools to criticize what is presented in these maps. The case of Israeli maps shows that even in a democratic state with freedom of expression, ideological consensus exist which are expressed in the information transmitted in the media and taught by the educational system. In the texts and maps of textbooks and atlases, which are seemingly objective, one may observe subjective, linguistic and cartographic distortions. This is even more the case in the media, in which cartographic representations and knowledge are not free of political-ideological influences. From this, it is clear that these maps, which are presented to children and adults, are not free from ideological distortions. Therefore, geographers who deal with education must train their pupils not only how to use the map, but also how to understand its subjective meaning, which contains various ideologies. The case of Israel can serve to raise awareness of the meanings of cartographic and graphic representations that are created by various bodies and states. One must assume that a similar examination would allow criticism and better understanding of the information that appears in maps in other countries in the developed and developing world. From our knowledge of propaganda and cartography, we set out to examine the expressions of intent of those who create various graphic representations in the context of territorial education. The examples provided from Israel illustrate the various ways in which politics and ideology become involved in cartographic information. This study did not examine the response of pupils to these representations, but several assumptions on this matter may be made. One may assume that the more a student is aware that a particular representation was produced with very scientific methods, and presented with very exact graphic means, the more reliability will be attributed to the representation. Representations like these are then accepted as representing reality, without the student’s critical thinking mechanism being activated, which could decipher the ideological intentions behind these representations. Even simple representations and sketches used freely, such as weather maps in the press, must not be underestimated: one must assume that in the long run, continued exposure to representations such as these allows them to become acceptable representations, and as such, they influence value judgements and various political positions. Let us conclude that adaptation of the approach presented in this article, in teaching map decoding and various graphic representations, will aid in consciousness-raising concerning the limitations of graphic and cartographic information. The reality which they are supposed to present is complicated, and no map or series of maps can represent reality as it truly is. This approach will aid in enriching the perspective which geographic education attempts to provide. The great richness of the world, as found in the knowledge of the young, is far greater than that which geography textbooks or atlases can transmit, as Haubrich (1992) has shown. This author, who studied student essays from various countries, emphasizes that the strengthening of the geographic perspective will contribute, in the end, to two aspects of geographical education — nationalism and international understanding. Foucault, M., ,1980 Power/Knowledge.The Harvester Press, Brighton. Habermas, J., ,1971 Knowledge and Human Interests, Heimemann, London. Haubrich,H., 1992 “National Identification and International Understanding” in M.
Orni, E. and Efrat, E. (1972) The Geography of our Land, Achaisaf, Tel-Aviv. Taylor, P.J. (1985) Political Geography, World-Economy, Natio-State and Locality.